with road frontage on both Monkey Hollow and Patrick Roads! 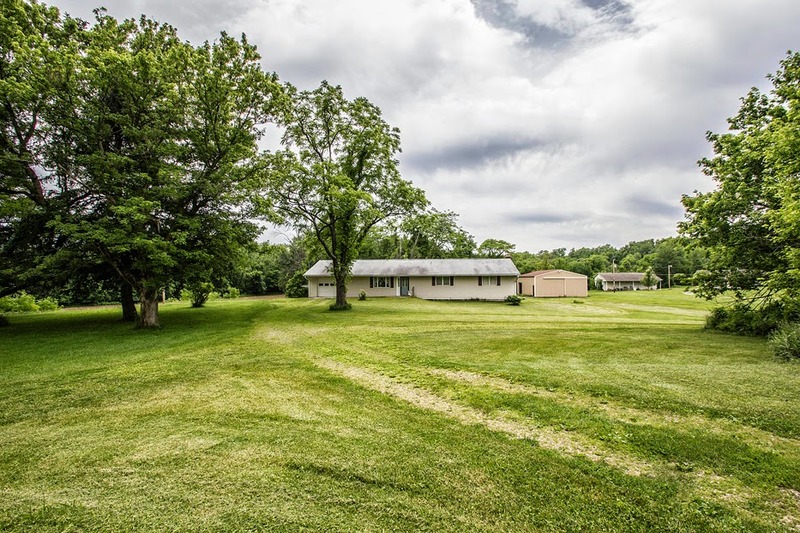 Naturally rolling terrain with woods, ravines, 2 barns, 15+/- tillable acres (currently in CAUV), and Big Walnut Creek winding through the property. Absolutely perfect for an Executive Home Site, Trails, Hunters, Equestrian Site, & so much more! ~1800 SF ranch home with full, walk up/out Basement. Close to everything! 3 BR & 2.5 Baths. Big Walnut Schools. Only $549,900!